"The current depressed economic environment of the electric power industry – particularly with respect to coal-fired plants – and the debtors' liquidity constraints have resulted in continuing losses that, simply put, have left the debtors without alternatives," media quoted Optim CEO Nick Rahn as saying in court documents. According to the documents, Optim has $713 million outstanding under a credit agreement with Wells Fargo, while its total estimated assets are worth less than $500 million. For 2013, Optim recorded revenues of $236 million. According to the Wall Street Journal, Optim said its executives had failed to obtain consent to borrow more money under a credit facility. Optim is reportedly planning to sell its coal-fired Twin Oaks plant during the bankruptcy, while the other two plants natural-gas fired. Optim was founded in 2007, and electricity prices began to fall shortly afterwards, hindering the company’s ability to repay borrowed money. Reductions in natural gas prices have hit power companies hard over the past several years, and Optim is the third to file for bankruptcy recently, following Dynegy Inc and Edison Mission Energy. Optim notes in its court filings that the price of electricity in the company’s market area has fallen roughly 40% in the past five years, from around $63.24 per megawatt hour in 2008 to around $38 per megawatt hour by December 2013. 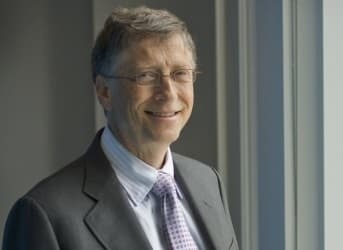 Optim’s owner, ECJV Holdings LLC, is owned by Cascade Investment LLC, an investment vehicle for Gates, the Microsoft Corp. co-founder and the world’s richest person, according to Bloomberg. Since when does a power plant that uses nat.gas have a revenue problem when the price of nat.gas goes down? "Reductions in natural gas prices have hit power companies hard over the past several years, and Optim is the third to file for bankruptcy recently"